tl;dr; I'm going to put this blog behind KeyCDN and I expect a 2-4x performance boost (on Time To First Byte). Right now, requests to my blog go straight to an Nginx server in DigitalOcean in NYC, USA. The Nginx server, 99% of the time, serves the blog posts (and static assets) as index.html files straight from disk. If the request is GET /plog/some-slug it will search for a file called /path/to/cached/files/plog/some-slug/index.html (or index.html.br or index.html.gz depending on the user agent's Accept-Encoding header). Only if the file doesn't exist on disk, it goes through to Django (via uWSGI built into Nginx). All of it is done with HTTP/2 and uses LetsEncrypt for SSL. This has been working great but it's time to step it up. It's time to put the whole site behind a CDN. And I think I'm going to use KeyCDN for it. But with HTTP/2, this becomes an anti-pattern for web performance because your client has already made an expensive HTTP/2 connection (and SSL negotiation) to https://yourcooldomain.com and now it's cheap to just download the rest. I used to do it like that too and I don't regret it. As a matter of fact, on https://songsear.ch is straight to Nginx but all its images are (lazy) loaded via songsearch-2916.kxcdn.com. But I think, when time allows, I'll put all of Song Search behind a CDN too. Basically, it's time to put the whole site behind a CDN. With smart purging techniques and smarter CDNs respecting your dynamic content cache control headers, it's time to share the load. ...all over the world. There are many sites that want to compare CDNs. But many are affiliated or even made by one of them. So it's hard to get comparisons. For example, KeyCDN demonstrates they're the cheapest by comparing themselves with 5 others that they picked. (But mind you, that seems reasonably backed up by this comparison on cdn.reviews). CDNPerf does a decent job with cool graphs and stuff. Incidentally, they rank my current favorite (KeyCDN) as the slowest compared to the well known giants that I compared it to. 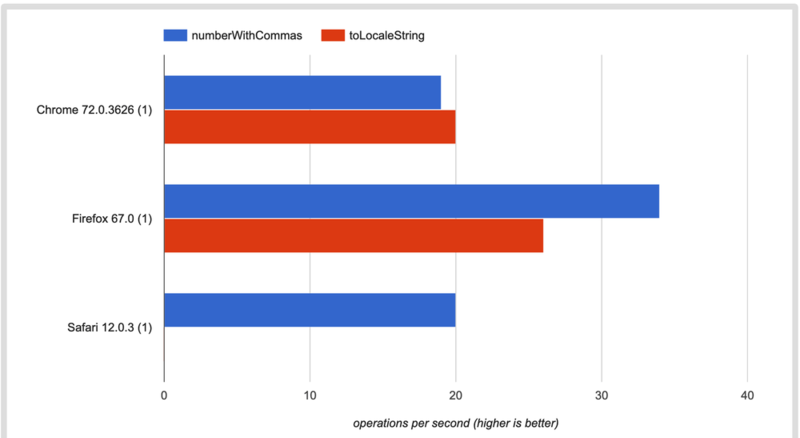 But mind you, the perf difference between KeyCDN and the winner (topmost in the graph as of today) is 36ms vs 47ms which are both fantastic numbers. It's hard to compare CDNs because they're all pretty fast, and actually, they're all reasonably cheap. What really matters is the features and that's a lot harder to compare. CloudFlare often comes up as a CDN provider with stellar features that impress me. I've never actually used them but at least they mention "Fast cache purge" and "API programmability" are their key features. But they also don't mention Brotli caching which I know is a feature KeyCDN supports. KeyCDN has been great to me in the past when I've used it to CDN host static assets. I'm familiar with their interface and they recently launched an API to do things like purge-by-tag and purge-by-URL. They're cheap, which matters because in this context it's all side-project stuff I want to put behind a CDN. They have a Python library which, although very rough around the edges, it works. And also very important; I've communicated very successfully with them through their support and they've been responsive and helpful. So I'll go with KeyCDN. Before I move my domain www.peterbe.com to become a CNAME for one of their CDN domains, I wanted to experiment a little and see how it works and what performance numbers I get for comparison. So I set up beta.peterbe.com and did some Django and Nginx wiring so it would work the same but with the difference that it goes through a CDN for everything. The "total Response Time" in Hyperping doesn't really make sense. They're an average across all regions it pings from. If you live in, for example, Germany; the only response time that matters to you is 1,215 ms versus 40 ms. Equally, if you live somewhere in New York, the only response time that matters to you is 20 ms versus 64 ms.
What it means is that the median, with a CDN is: 62ms and 135.6ms without. That's a 2x boost. The crawler stats script is available here: github.com/peterbe/peterbecom-cdn-crawl and I would be thrilled if you can clone it and run it and report what numbers you get and where you're running it from. Imagine if all those static asset downloads could have started a whole second "to the left"
Of course a CDN is faster. It's no news. But it's also a hassle and it costs money. It's 2019 and most good CDNs now support Brotli, fast purge-by-url, and HTTP/2. It's time to make the switch! It's not like cache-invalidation is hard. KeyCDN has a neat looking tool that is similar to Hyperping but more of a one-off kinda deal. It's called Performance Test and I wouldn't be surprised it's biased as heck because they probably run these pings from the same location'ish as where they have the edge locations. Anyway, the results are nevertheless juicy. Note the last, TTFB column numbers. A couple of months ago my colleague Michael @mythmon Cooper wanted to add a feature to the front-end code of Whatsdeployed and learned that the whole front-end is spaghetti jQuery code. So, instead, he re-wrote it in React. My only requirements were "Use create-react-app and no redux", i.e. keep it simple. We also took the opportunity to rewrite some of the ways that URLs are handled. It used to be that a "short link" would redirect. For example GET /s-5HY would return 302 to Location: ?org=mozilla&repo=tecken&name=Dev&url=https://symbols.dev.mozaws.net/__version__&name=Stage... Basically, the short link was just an alias for a redirect. Just like those services like bit.ly or g.co. Now, the short link is a permanent fixture. The short link is included in the XHR calls to the server for getting the relevant data. All old URLs will continue to work but now the canonical URL becomes /s/5HY/mozilla-services/tecken, for example. The :org/:repo isn't really necessary because the server knows exactly what 5HY (in this example means), but it's nice for the URL bar's memory. Another thing that changed was how it can recognize "bors commits". When you use bors, you put a bunch of commits into a GitHub Pull Request and then ask the bors bot to merge them into master. Using "bors mode" in Whatsdeployed is optional but we believe it looks a lot more user-friendly. Here is an example of mozilla/normandy with and without bors toggled on and off. Lastly, hopefully this will make it a lot easier to contribute. Check out https://github.com/peterbe/whatsdeployed. All you need is Python 3, a PostgreSQL, and almost any version of Node that can run create-react-apps. Ping me if you find it hard to get up and running. tl;dr; The global average response time of serving an image from my NYC DigitalOcean server compared to a CDN is almost 10x. KeyCDN is a CDN service that I use for side-projects. It's great. It has about ~35 edge locations. I don't know much about how their web servers work but I can't imagine it's much different from the origin server. In principle. The origin server is my DigitalOcean (6 vCPU, 16 GB RAM, Ubuntu 14) droplet. It's running an up-to-date CloudFlare build of Nginx and the static images are served straight from (SSD) disk with a 4 weeks TTL (max-age=2419200,public,immutable). The SSL is done with LetsEncrypt and I'm somewhat confident the Nginx is decently configured and uses HTTP/2. So the CDN, on songsearch-2916.kxcdn.com, is basically configured to front any requests to songsear.ch. If the origin has cache-control headers, KeyCDN knows it can hold on to it for a while, but it's not a guarantee that it will for the full time specified in the cache-control. Either way; how does it compare? Mind you, the "average response time" is across all regions. It doesn't reflect what people get. If 90% of your visitors are from Australia, the average response times would, of course, be very different. But as an example, the origin server is in New York and there, the average response time is 26 ms vs. 105 ms which is a 5x difference. KeyCDN's server is clearly fast and worth doing. It's unsurprising that it performs better far away from New York but it's surprising how much faster it is at serving than the origin when pinged from New York (5x difference). The site is still NOT fronted by a CDN because, apart from the images, almost all content is un-cacheable. However, I need to do more research and experimentation with putting everything behind a CDN and being meticulous with setting no-cache headers on dynamic stuff and using async tools to invalidate CDN caches when appropriate. tl;dr We could make the initial HTML document 40% smaller if moved from inline SVG to external, optimized, .svg static assets. But there are lots of caveats unless the SVG can be used as an image. One of the many goals of MDN Web Docs this year is to make it faster. That makes users happier and as a side-effect, it makes Google happier. And hopefully, being faster will mean Google ranks us higher. I'm still new to the MDN code base and there are many things we can do. One thing I noticed is that the site uses inline SVG. E.g. The site uses HTTP/2 so the argument of reducing the number of requests is not valid. Well, with caveats. Browser support for HTTP/2 is getting really good. Definitely good enough to make it worth betting on. It used to be that there's a trade-off for making static assets external: you can potentially avoid downloads, at all, by browser caching and the initial HTML document becomes smaller. But all, at the cost of more requests. There are other, more subtle, differences with SVG. For example, the content of the SVG might depend on dynamic data. 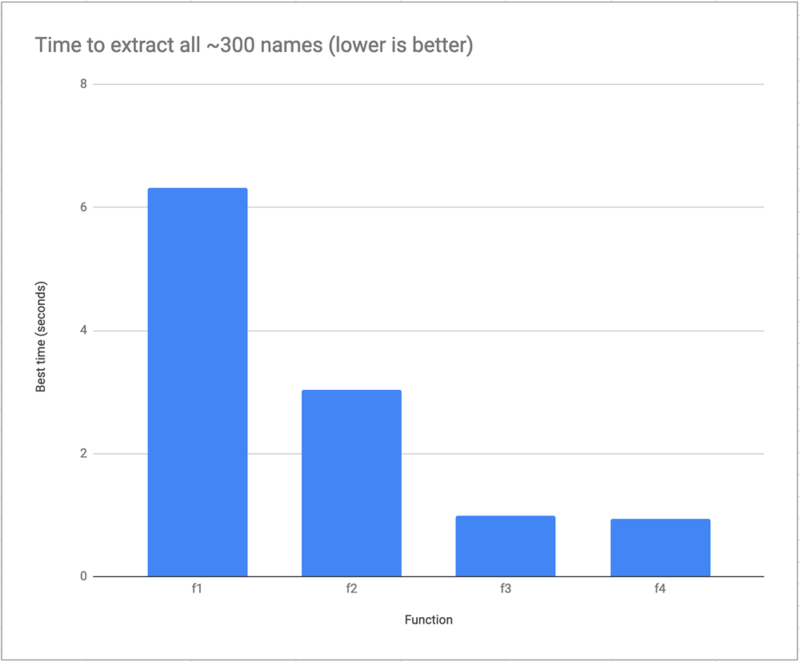 There might be others that I'm not aware and I'm quick to admit that I don't know much about use and stuff but this article might be full of those details. Run svgo on each .svg to create a .min.svg. Sum all inline ones total size, sum the size of all .min.svg, sum the size of all .min.svg.gz, sum the size of all .min.svg.br. For every single MDN page, we stand to make the initial HTML document 22KB smaller. Every time. Most web developers I know often Google for something and end up on MDN and do so frequently enough that there's a good chance for a warm browser cache. But! This 22KB is uncompressed. Since the HTML documents are served gzipped, at a ratio of about 1:4, the total inline SVGs is roughly 5.6KB. At the time of writing the MDN home page is 58,496 bytes decompressed and 14,570 bytes gzipped. So that means that we stand to potentially strip away 40% of the document size! You can, instead, use <svg><use xlink:href="/static/icon-caret.914d0e4.min.svg".></svg> but it comes with its own host of challenges and problems (styling and IE support) and you still need this <svg> tag to do the wrapping in the first place which adds bytes. It's not always worth compressing tiny static assets. And it might be worth experimenting with what the CPU cost is for a low-performance mobile device to decompress the asset versus just eating the extra network download cost of leaving it uncompressed. HTTP/2 is great in that it allows the browser to download external assets earlier, on the same open connection, as the initial HTML document. But it's not without risks and costs that need to be carefully considered. If you look carefully, you'll notice that every song_id has a different text_hash except two of them. Song IDs 616848 and 243393 both have the same text_hash of value 8ab19b32b3be2d592aa69e4417b732cd. Also, if you imagine this table only has 10 rows, you could quickly and easily conclude that there are 10 different song_id but 9 different distinct text_hash. However, how do you do this counting if the tables are large?? Oh noes! A Sec Scan! Run! Same exact result but ~5s instead of ~40s . I'll take that, thank you very much. Avoid "sequential scans" like the plague if you care about performance (...or not just killing your resources). In a highly unscientific survey of exactly 2 French native friends, I asked them what they think about formatting large numbers the "French way" versus doing it the "English way". In particular, if the rest of content/app is English, would it be jarring if the formatting of numbers was French. Both Adrian and Mathieu said they prefer displaying the number the French way even if the app/content is French. Number.toLocaleString() is now universally supported so that's no longer a worry. The thing that's always worried me is; What will someone's reaction be if the texts are in one locale and the formatting of numbers (and dates, etc!) are in another locale? All 2 of the people I asked say they don't mind the mixing but admit that it's weird but that ultimately they prefer "their" format. If you're non-English browser, what do you prefer? If you're a web usability expert, please, too, drop a comment to share what you think.